A video showing a bathroom soap dispenser which responds only to the white skin has reawakened the conversation about the subtle forms of racism in modern technology. 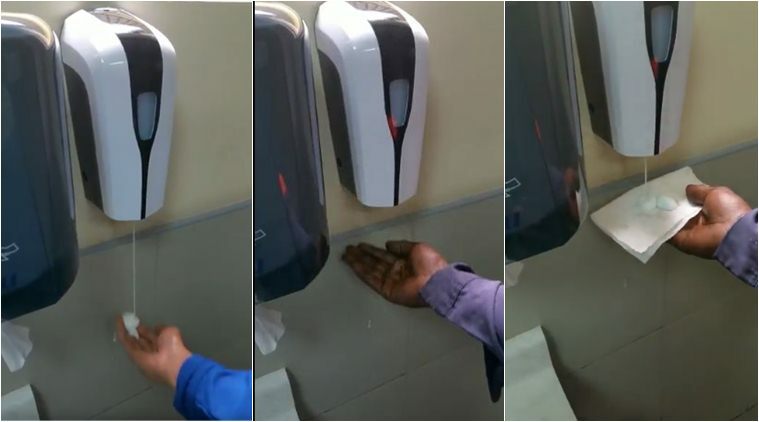 The 1-minute video, which was first uploaded on social media by Chukwuemeka Afigbo, Facebook’s head of platform partnerships in the Middle east and Africa, begins with a white man waving his hand under the automatic dispenser and getting rewarded with a drop of liquid soap in his palm. The video then shows a black man waving his hand under the dispenser in a similar motion. He continues to wave for a couple more seconds but no soap is released. At this point, it would of course be too hasty to conclude that the dispenser shunned the man because of the color of his skin. So for effect, the black man repeats the motion, only this time he had his palm covered up in a piece of white paper towel— the dispenser responds straightaway by pouring out a slop of soap. The video which has gone viral on social media, has garnered more than two million views and thousands of comments, sparking a lively conversation about the lack of diversity in the tech industry and how it affects consumer products and services. Automatic soap dispensers, like the one in the video, work by using an infrared sensor to detect the presence of the human body at close proximity. The body in turn reflects the invisible light to the sensor which then triggers it to release its contents. Due to an obvious design flaw, the characteristic darker skin tone of people of colour absorbs the light instead of bouncing it back, effectively preventing the soap from being released. Biometric identification which includes fingerprint, iris scanners, voice recognition and infrared sensors have a history of failing to correctly identify, not just people of colour, but women and other minority groups in society. Critics of biometric identification say the technology inevitably reinforces racial and gender inequalities because many software algorithms often use the “male” gender and the “white” skin as the standard for their functionality.